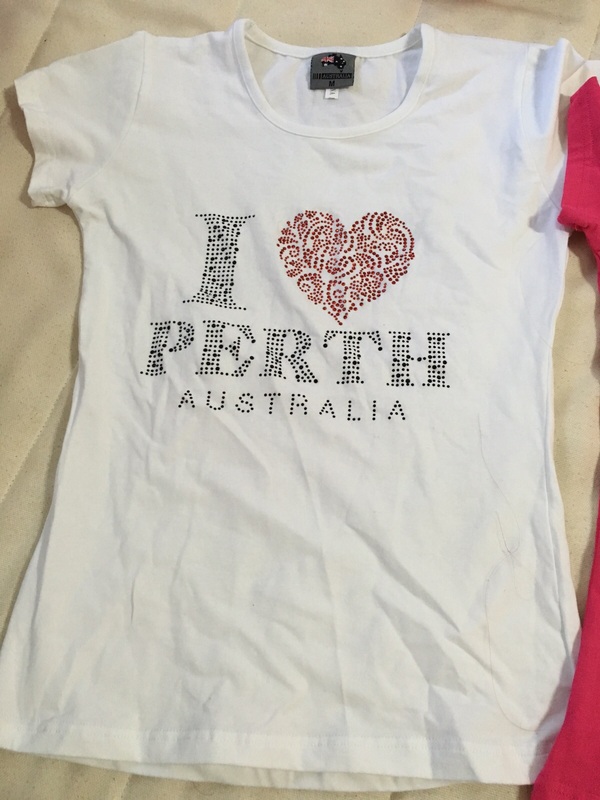 You see today this post i Super 用心 do one lo still got mind map… So you all when visit perth mus 参考 this blogpost ah!!! LOLS! 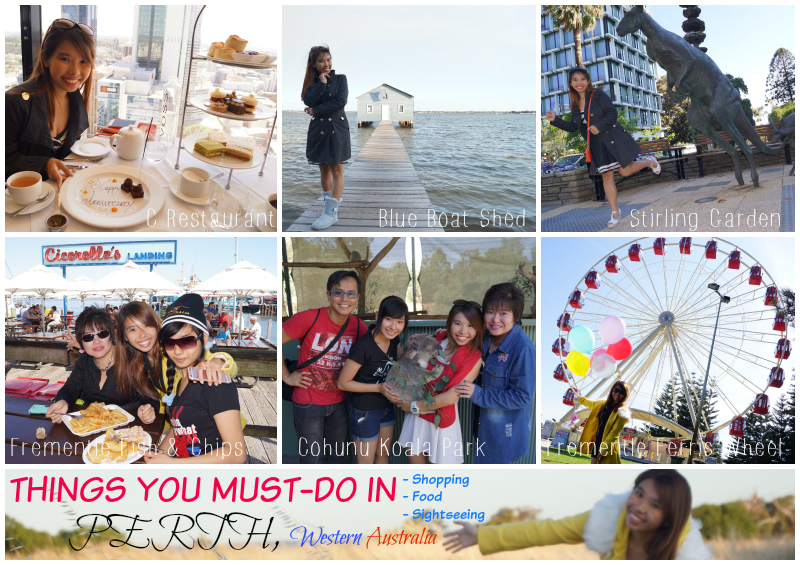 So today’s post will be on the Things You Must-Do in Perth and it will be broken down into 4 Categories. So we will explore into the different Categories now and First is the most popular must-do section! So for shopping-wise I got like 5 places to recommend. 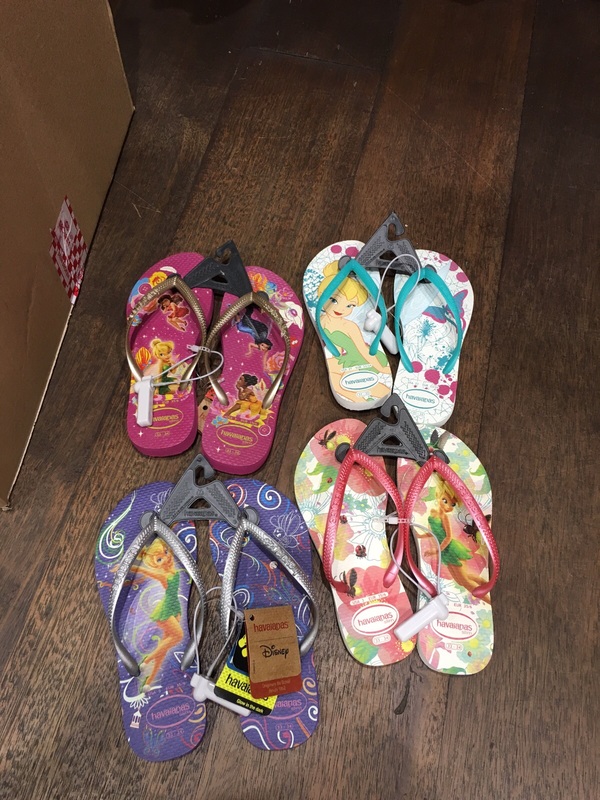 Shop for different stuff like sports shoes, souvenirs etc etc. 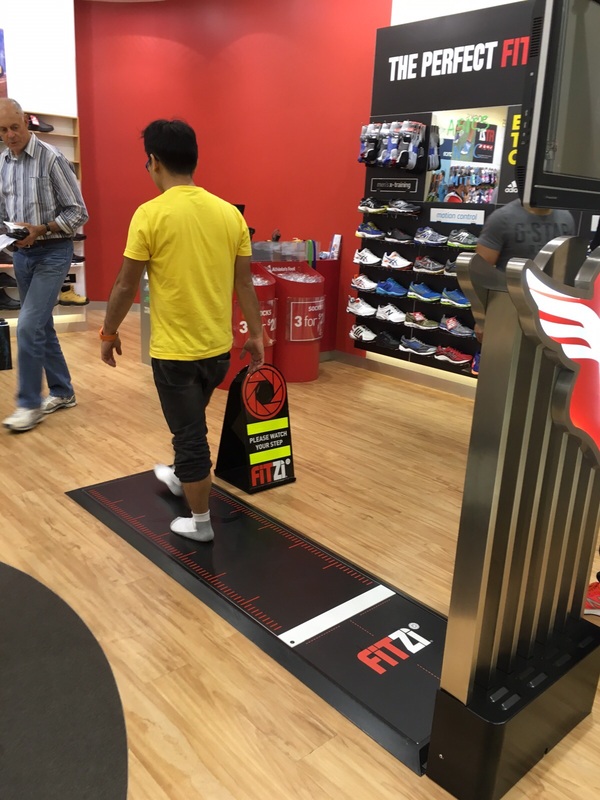 So The Athletes Foot is a super professional sports shoes shop in aussie.. Because our luggage no space liao, so i did not bring along my nimbus 13 to aussie but I really wanna run the next day.. Therefore Casper and I went to quite a few shoe shop to find.. 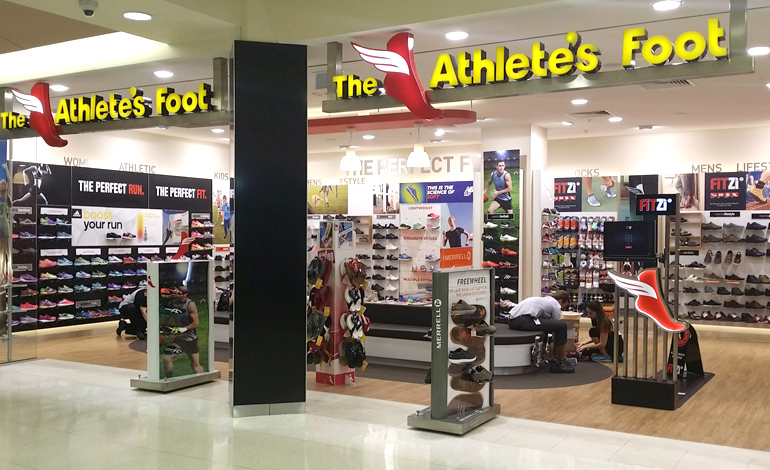 But seriously, in aust everywhere is Adidas! 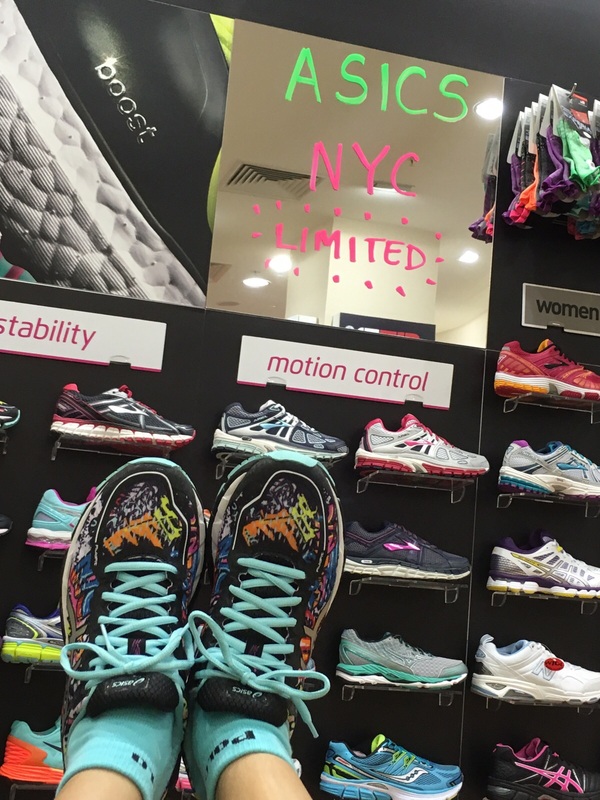 No asics shoes to be found and the other shop the sales person not so pro de..
Our basic asics knowledge like more than them! And obviously super expensive too! Is about $200 plus but totally worth it! coz u cant find it in SG at all! When i came back to sg, i try to find, cannot find! and guess what this is the only pair in this shop! wahahahaha! Limited Limited Edition. Get it? Afterwhich Casper also heart itchy wanna buy too. And there is this machine which is an analyser. It will tell us how you walk. And it recorded down like how casper walk for this distance. Therefore the sales person concluded that Casper is suitable for Kayano too. 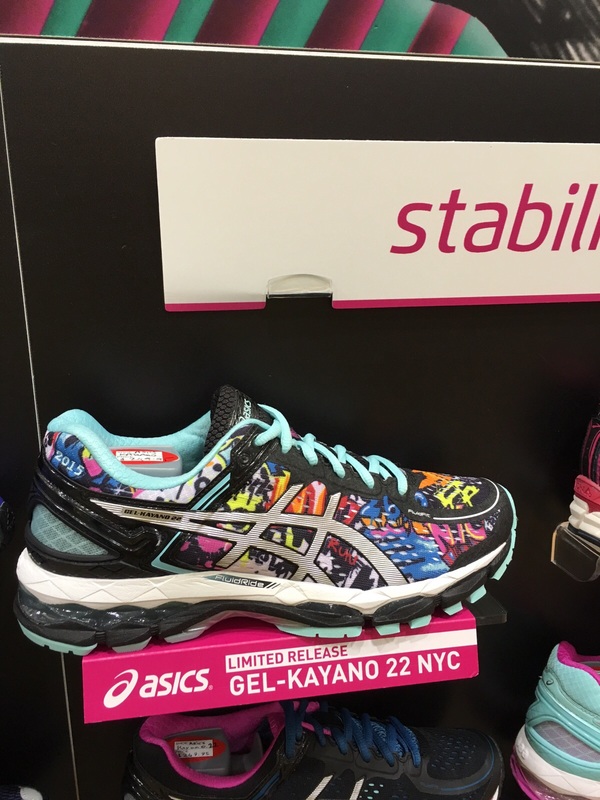 However his Kayano is 21 not 22. Not the latest but cheaper than mine. So ya, he paid for mine and I paid for his! lols! Yay! I made a profit! 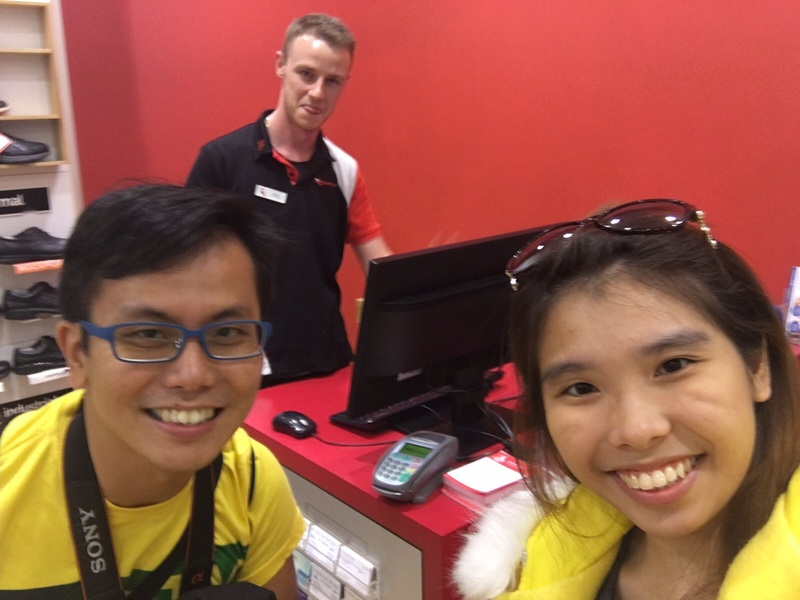 And Thanks a lot to my sales person for being so knowledgeable! 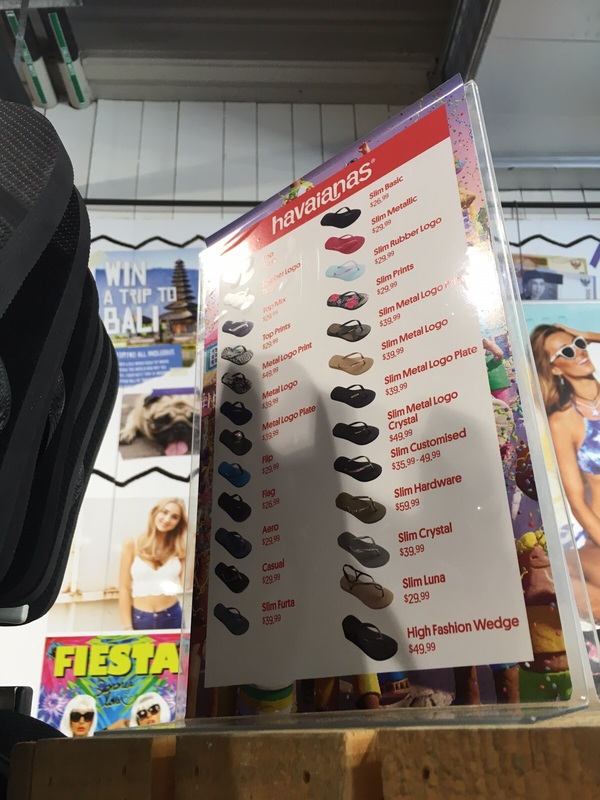 And helping us so much in finding the perfect pair of shoes! Sorry i forget ur name.. Intially i remember de.. now i really forget.. Then zoom in oso cannot see.. oops..
As you know, I am a balloon fanatic~ So my dearest hubby wanna fulfill my balloon dream so ya.. 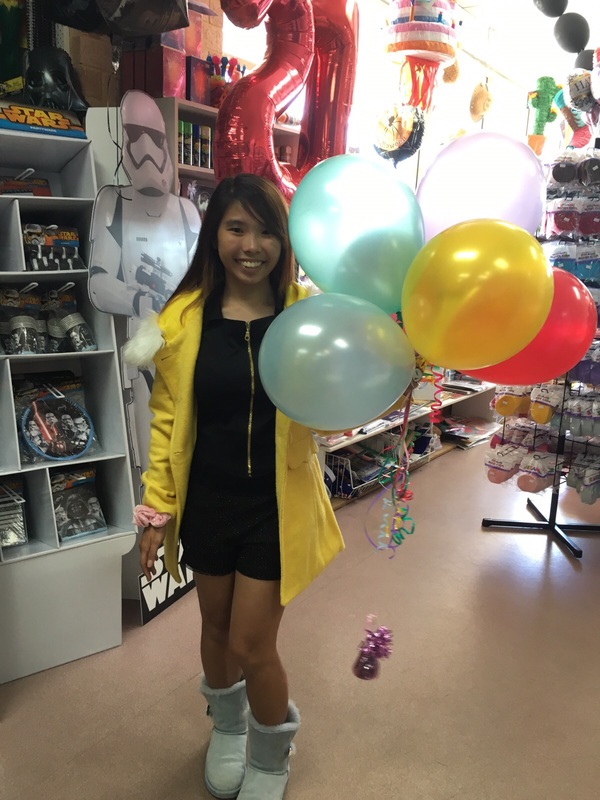 So hubby bought 6 balloons for me. But their balloons quite lasting lah.. They can even help u put a gel to make it last overnight! Service not bad.. 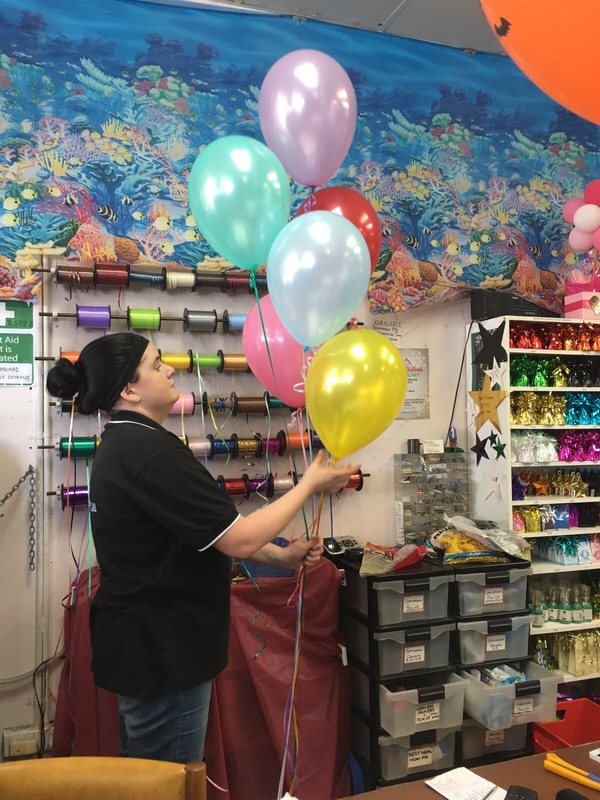 Balloons price i think is reasonable? Got cinderella ones~~ And yup, manage to cheat my money liao lo.. I buy anything related to Cinderella! Guess which one i buy? Left or right? 90% of my souvenirs are bought here. My Hoodies are bought here too. It’s along this street actually. Most of the time u walk upwards. I did not know it’s so hard to find info on this shop on the internet. If i know, i would jus snap more pictures! The main iconic thing is beside this SHERO boutique bridal shop which sells gown la.. I have attached the google maps of this bridal shop so you find SHERO, you will get to the shop beside it which is my favourite souvenir shop! I always buy my gifts from here! Since i was 12yrs old.. Like super serious.. 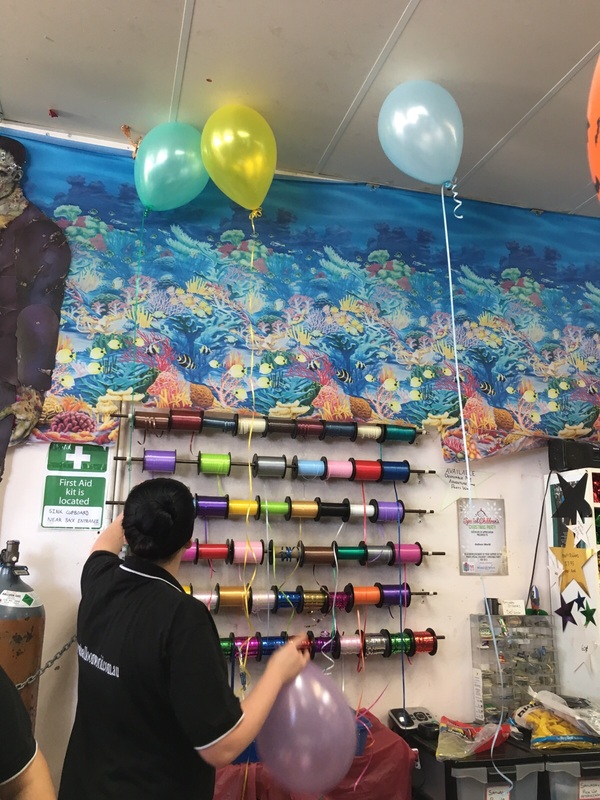 So this is the photo of the shop. Image credit: google street view map. 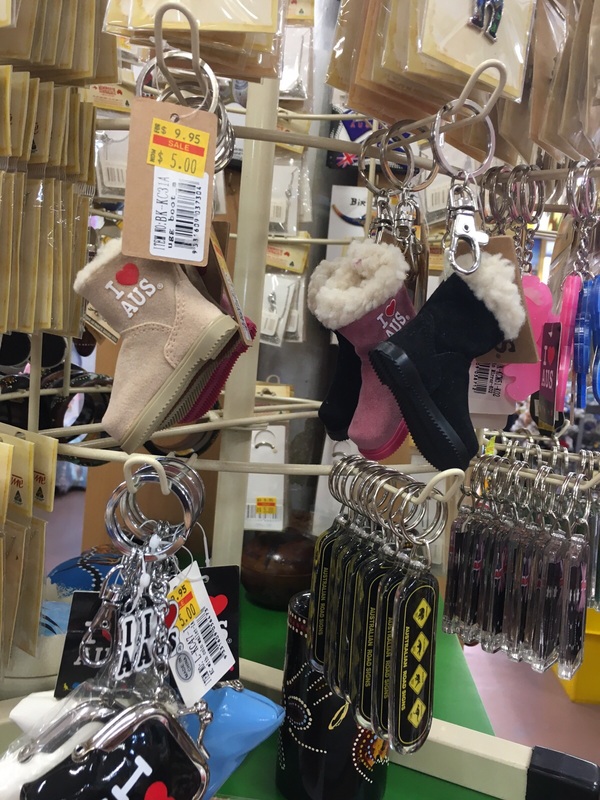 They sell so many super cute keychains! Price wise leh.. You can find cheaper keychains out there but the prettiest one and nicest design are here. Woohoo~ Then hor, she never say she wan the baby on board sign on day 1! I mean Bianca never say!! You see the sign up there! 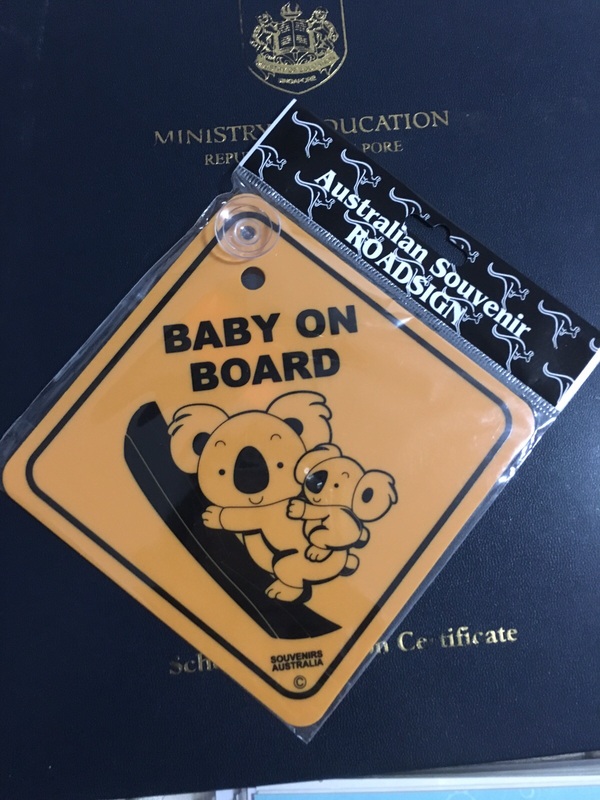 Then i never buy la.. Then until when i was in outback (where there is no shopping centers) then she whatsapp me ask me buy 3 baby on board sign. Faintssss.. 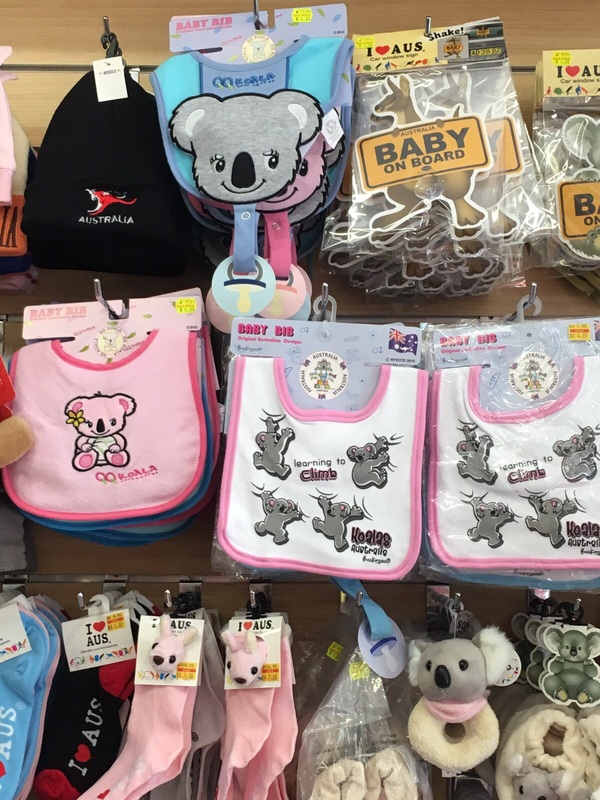 But for baby charlotte, die die mus find it for her la! So ya, i found a even cuter one in Frementle! Which later i will share on my next shopping destination! 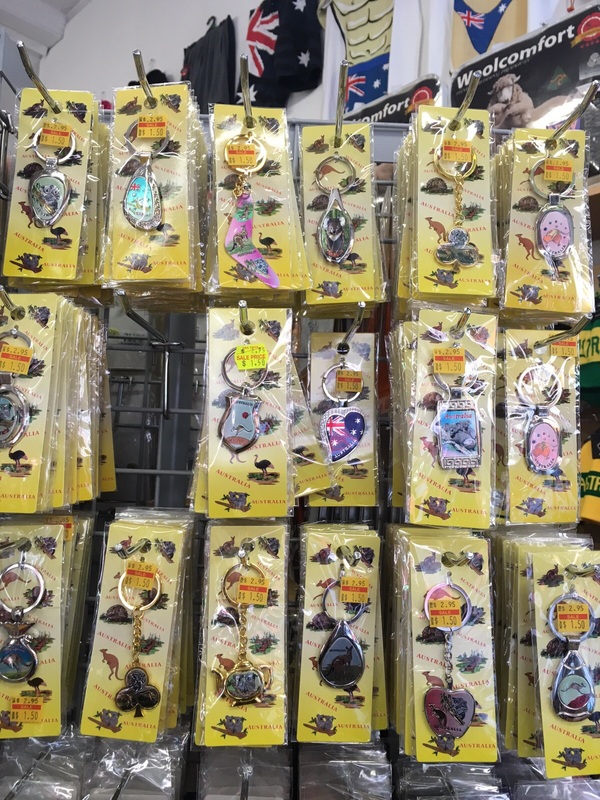 Here are plenty of super nice keychains. 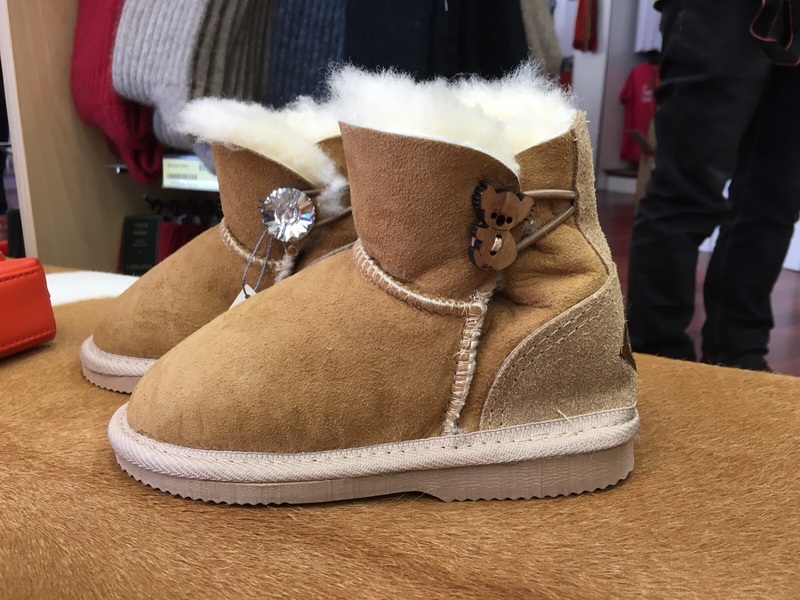 The also the UGG bootes super nice right? But I no budget liao so never buy.. lols! 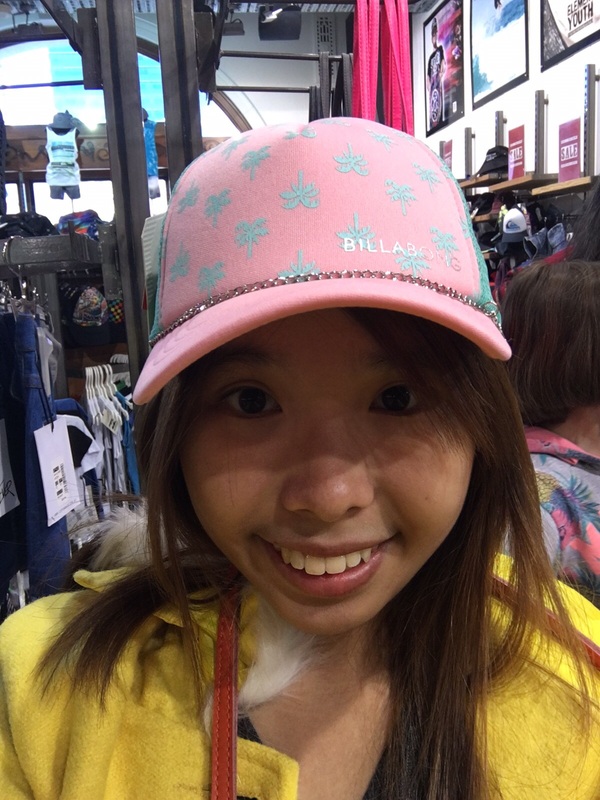 Wanted to buy for Joyce but she prefer the pink Koala Mirror instead! So i got this for Joyce! :) Hope she likes it..
Then I also got a couple hoodie together with Casper. 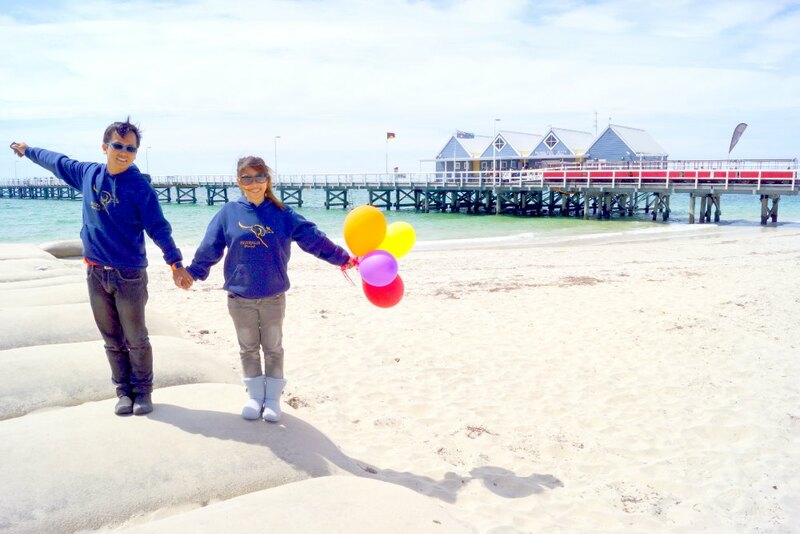 We wore it to Busselton together~ The photo abit far coz the focus the the Jetty mah. But I jus realise we have no close up photos with this hoodie and it’s in the washing machine now.. oops.. But somehow i think u can see right? 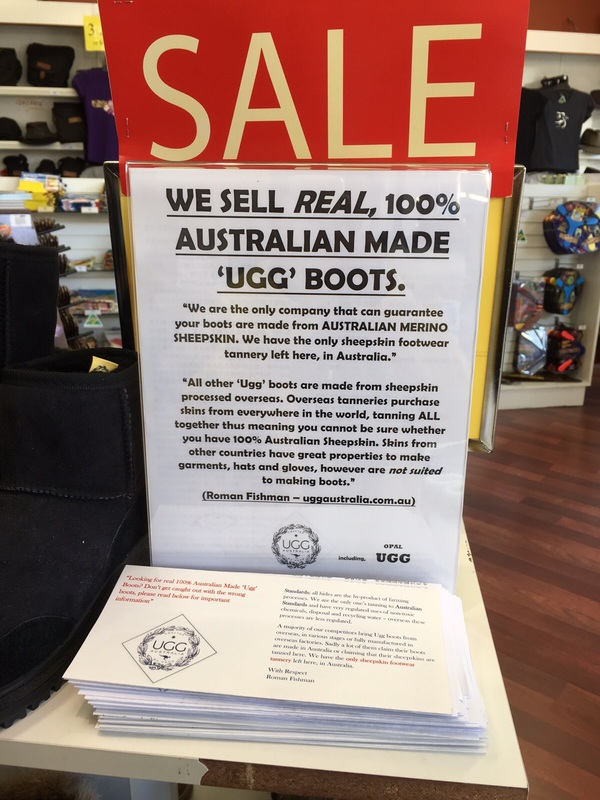 So this place is where i recommend to buy REAL UGG* Read disclaimer below! 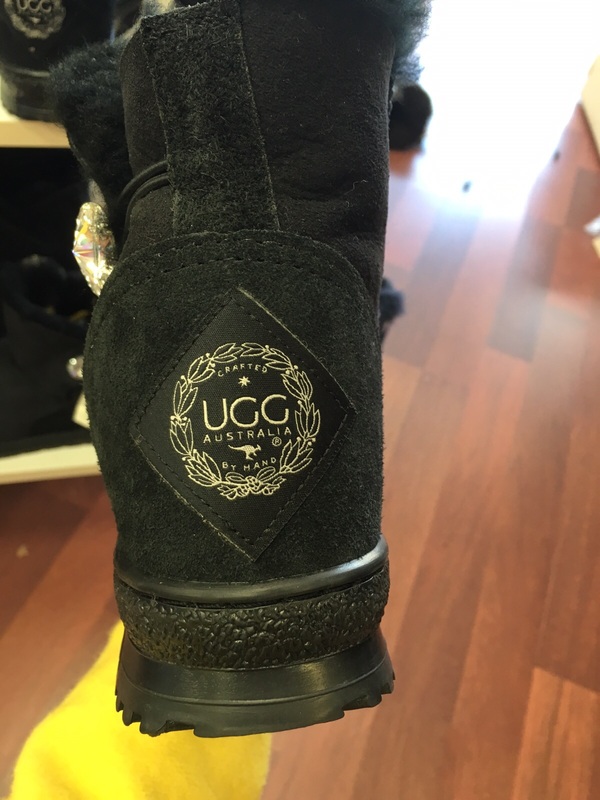 Disclaimer: I never say other UGG bootes are not authentic, but I just wanna say, I found the real one. The one made in Aussie. 100% Aussie. 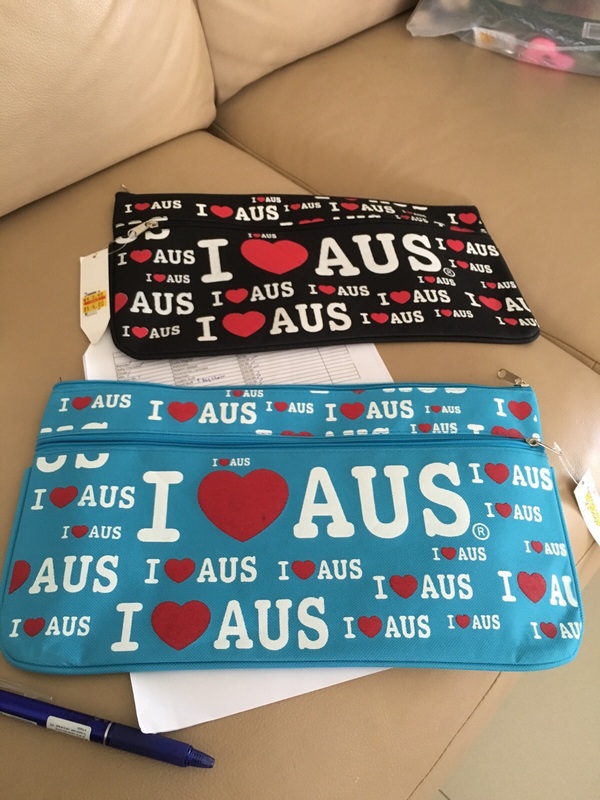 Well, I bought the China made UGG in SG and bought the Australian made UGG in Australia from OZ Australia Souvenir Shop. 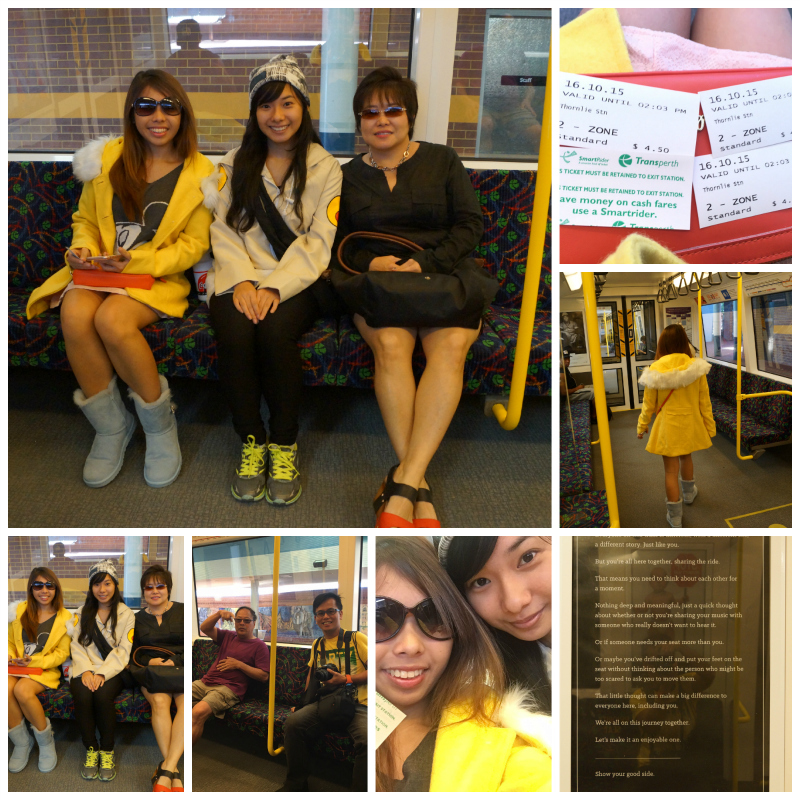 China one cost me $300 close to $400 and the Aust one cost me $200/- I mean for you to judge la.. But i tell u smth my feet tell me.. 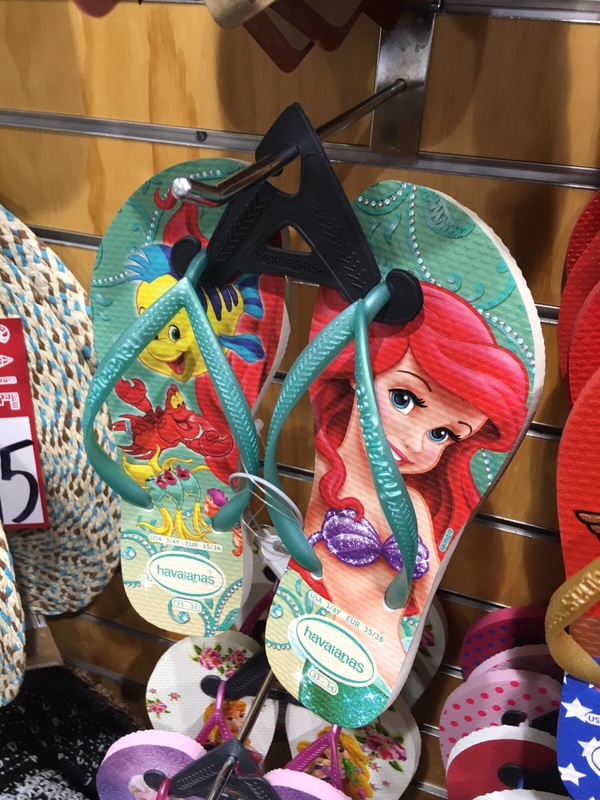 The Aust one a lot warmer and the sole is hardy one.. I totally can climb snow mountain with it tat kind.. 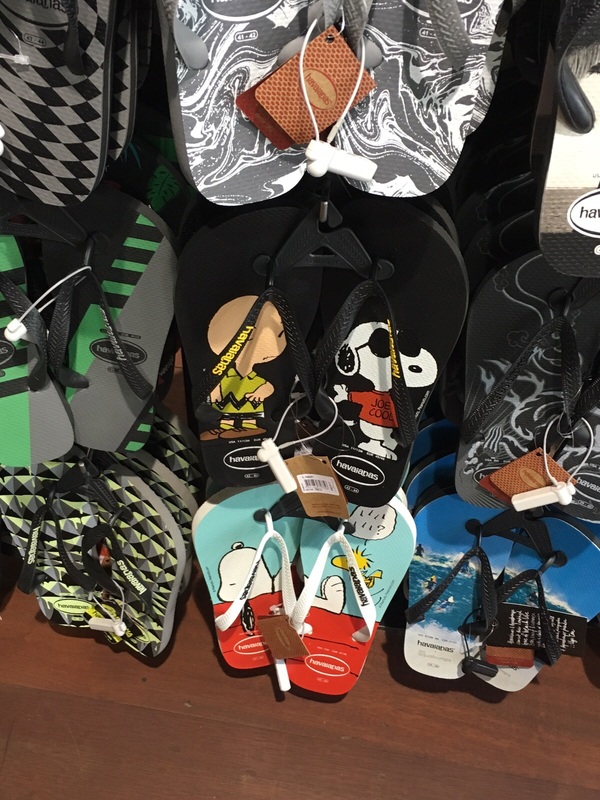 But the China one the sole… hmm… But the China made UGG oso got fake de hor and mine is the Authentic one ok? 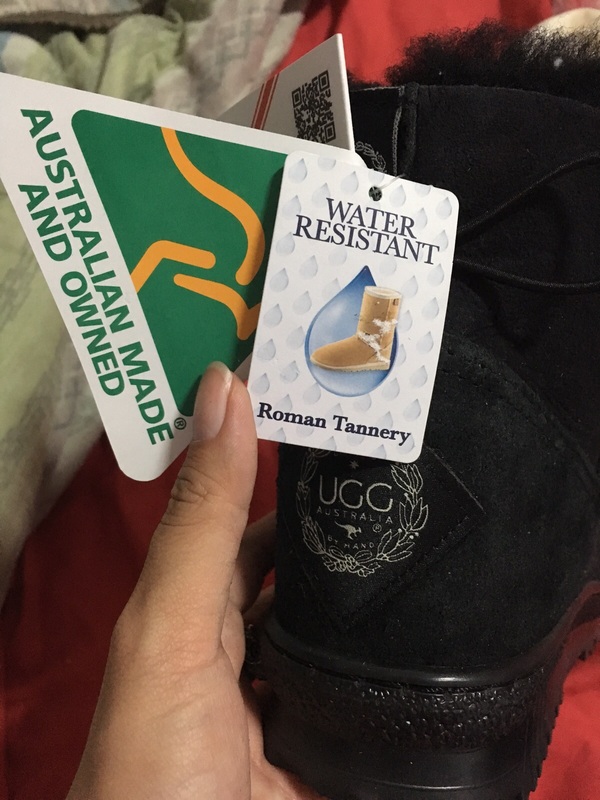 I buy from Takashimaya one hor.. And Aust de cfm Authentic coz of the gold label~ And if u wanna buy the real Aust one, too bad u have to go aust coz they dont export overseas. They cant ship here.. For now maybe forever? 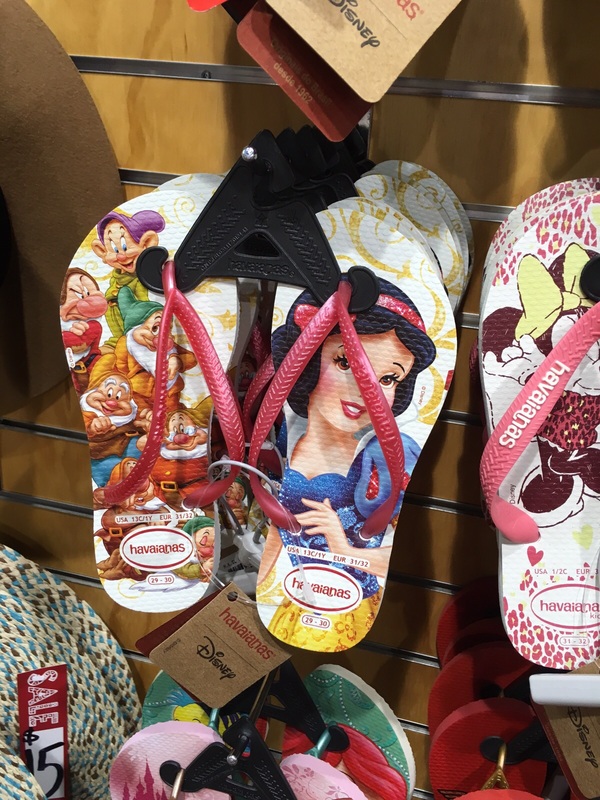 I dunno but only way to ship here is you buy the first pair from the shop. This is wat the retailer stephanie told me la. So ya.. 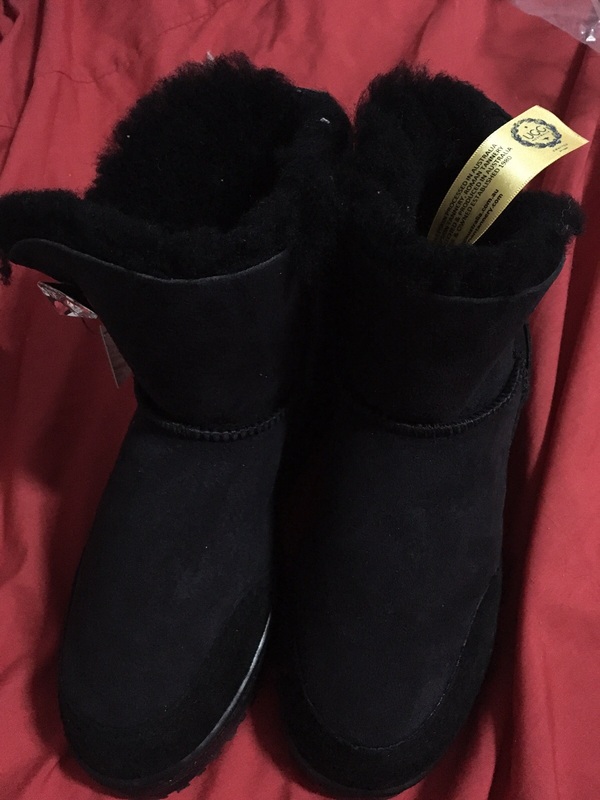 If you are a bootes fan like me, UGG is a must-buy!!! 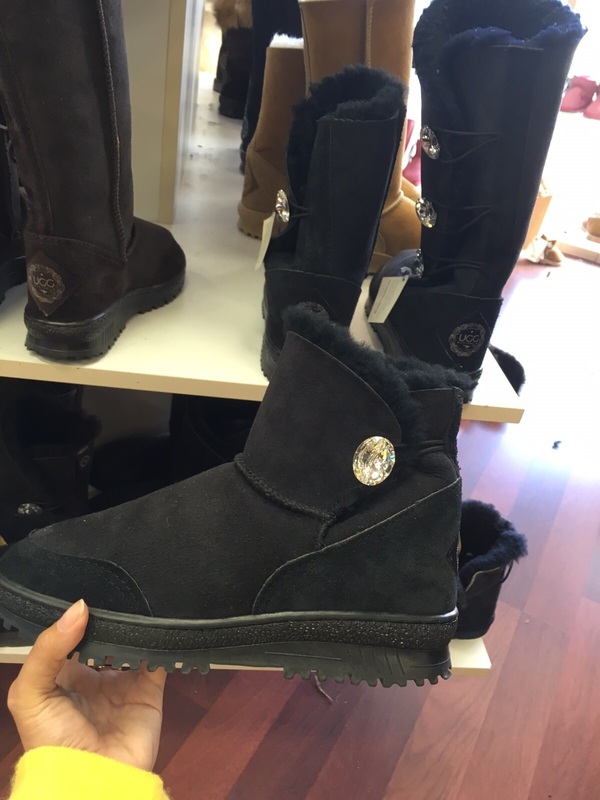 So first I will share about my UGG~ So I got this black one with swarovski Crystal. The Blue made in China one also have real crystals. So is like since swarovski so got name one cfm tie up with real de mah! Who knews~ haizzzz..
You can see the heel with this logo.. “BY HAND!” Not by machine. And u see how thick the shoe sole.. And the hardy feeling it gave you.. This pamphlet is given to me and i was shocked.. Unbelievable and devasted! Like you spend so much and end up you dun support the real brand? they drew on the sheep skin then cut… totally not machine.. super handmade. 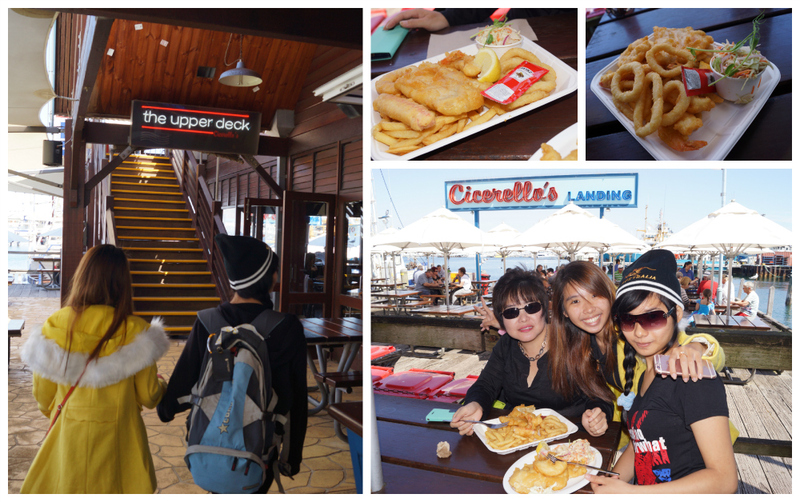 Then next time i visit aust, i cfm buy the fox de! 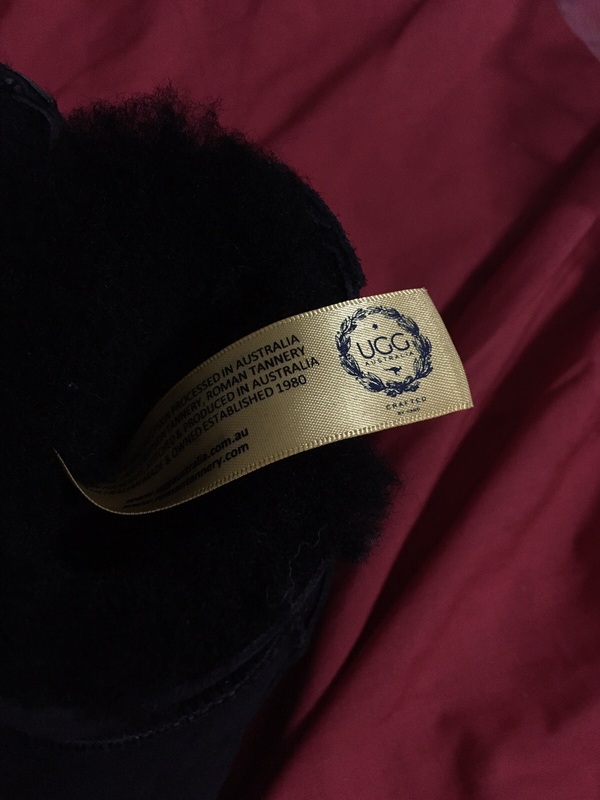 And hor, the real UGG de colour all natural and not chemically dyed coz Aussie super environmental friendly. Therefore my blue bootes which i adore so much and wore daily is …..
Speechless! i dun wan say liao.. Say liao heart ache nia! Let’s divert my attention for 10secs! Ok so i say once i preggy, i gonna buy this koalalalala one for Xiao Monkey! hahahahaha! 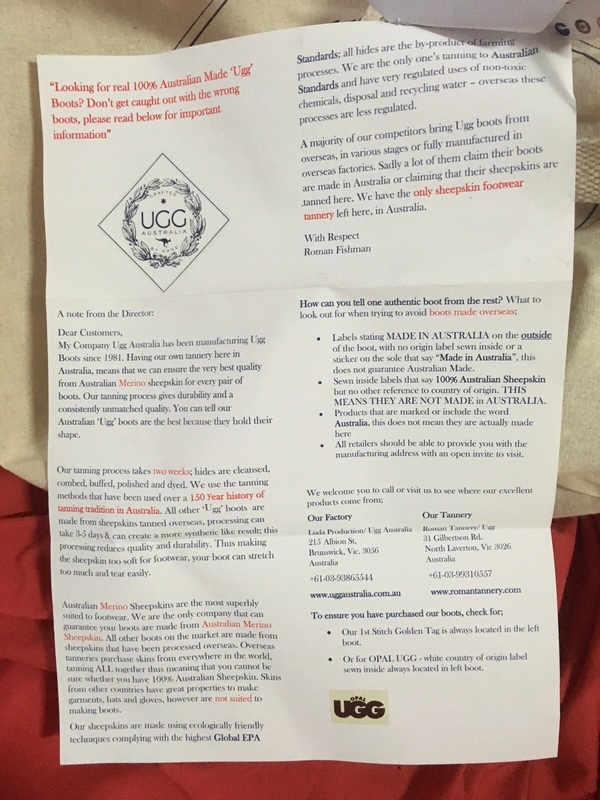 Ok… Educate your somemore.. on real UGG! I really say real de.. Want buy , buy the real one.. Why? 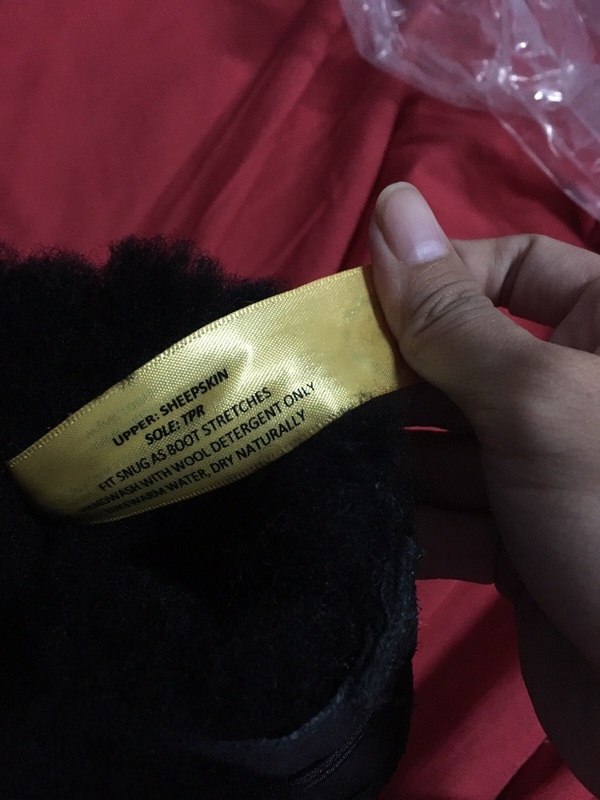 This hand made REAL UGG #1 CHEAPER! Surely you dont wanna spend $200 – $300 on a bootes that dun last for a year right? Or a shoe which the insole cant be changed right? YES! Go Team AUSSIE!!! 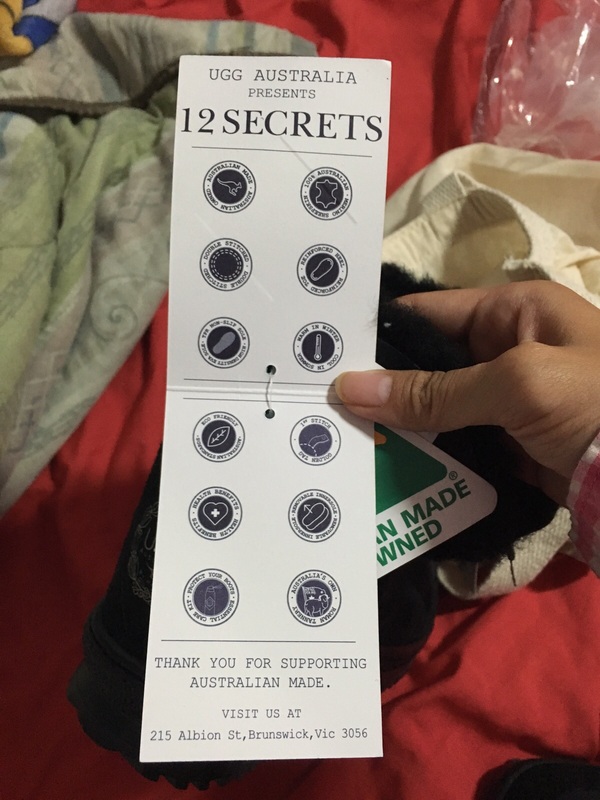 Support Aussie MADE! Let’s say smth happy now! I bought this Baby On Board for my favourite baby girl , which is who? CHARLOTTE lor~ Like still got who?! 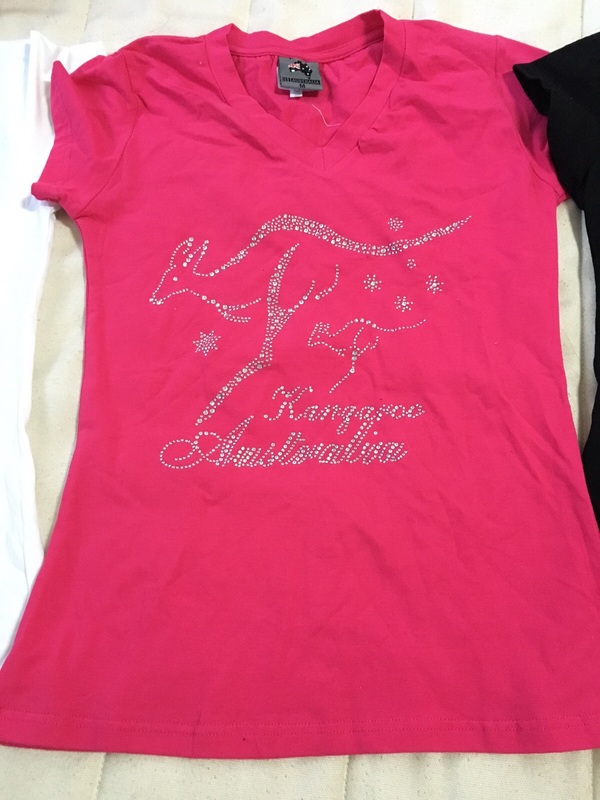 Lastly is tat OZ Australia sells this bling bling shirt! Elsewhere never sell this pattern..
My mum search perth upside down liao.. really only they sell this designs with blings! $10 AUD for this numbers of blings! Tell me worth it anot?! They are wrong! You can find! And it’s yummy and affordable! You see the photo below, even angmohs come and eat! 1 table ok! No joke! Our family celebrates all occasion here. 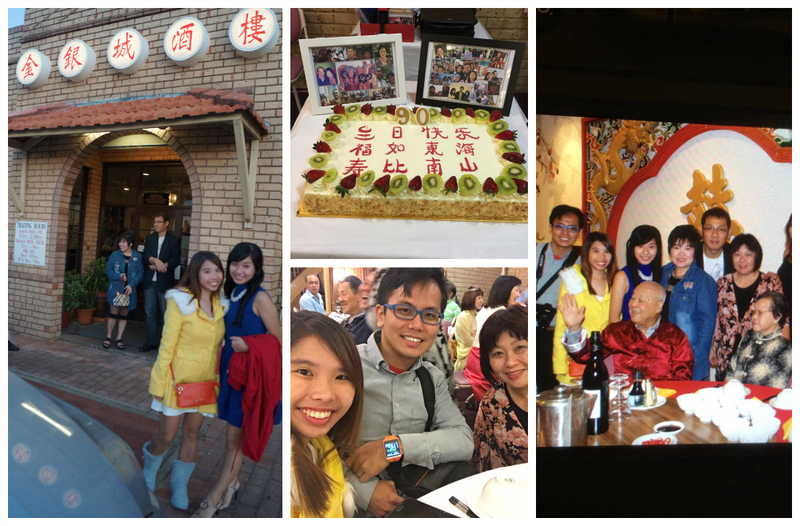 Kes’s bday, Great grandpa 90th bday, our farewell dinner etc etc. We settle it in one restaurant! And is my favourite restaurant! hehe! then serious. 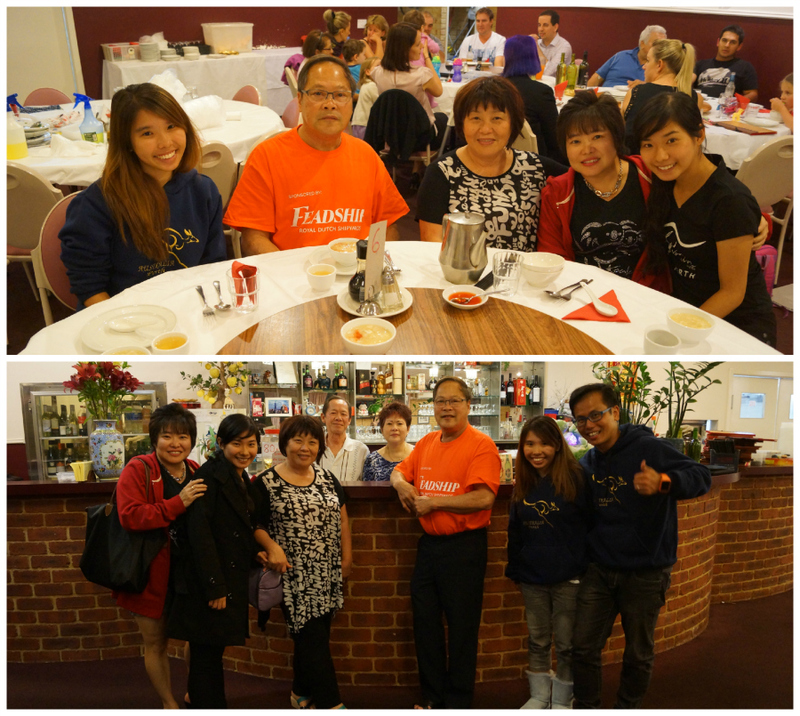 Alot of ppl recommend C Restaurant! 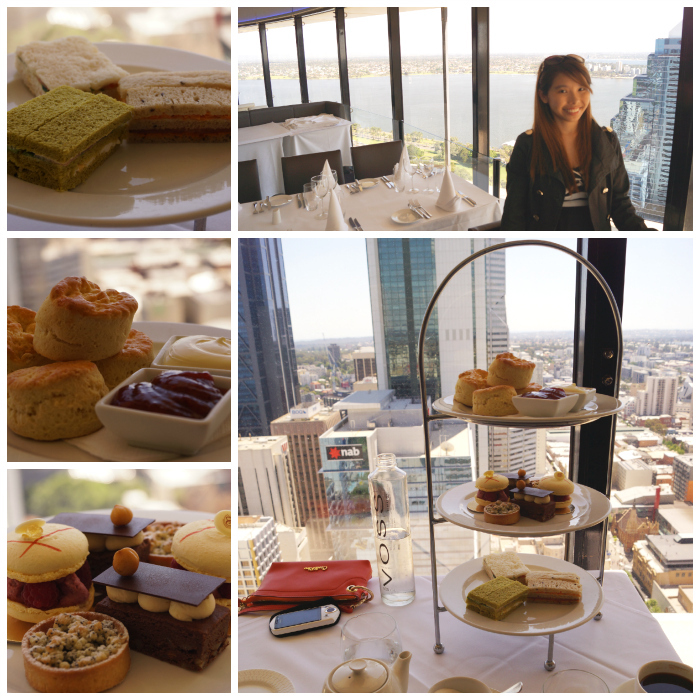 Coz is the highest THIRTY-THREE Storeys high REVOLVING Restaurant! Price also super atas. I think we spend about $200 here? And it’s jus HI-Tea. Food quite yummy la.. Not bad la! But portion super big and it’s pay per pax de.. So the portion for per pax is super big la!! Then we wasted food coz really cannot tank! But the coolest thingy is the staff actually celebrated our anniversary with a sparklers! Not bad for atmosphere! And thanks to Zor’s recommendation! Yes! 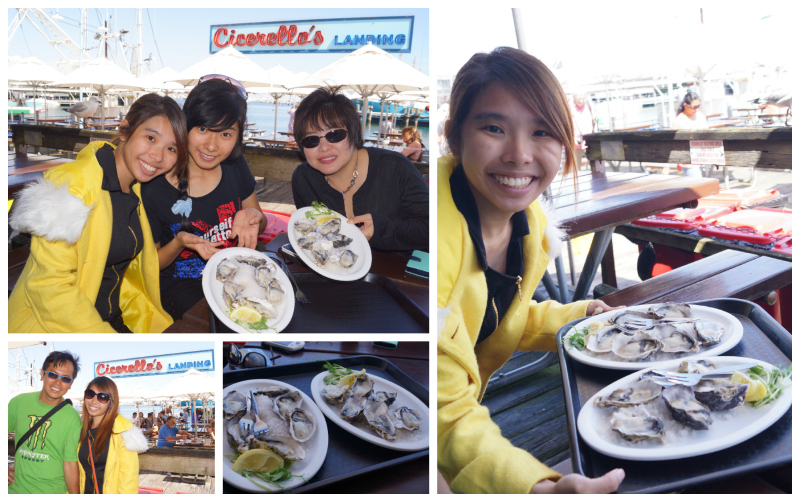 You should totally eat oyster at Cicerello’s! And yes! This is definitely a must-visit in Frementle! Must-EAT too! 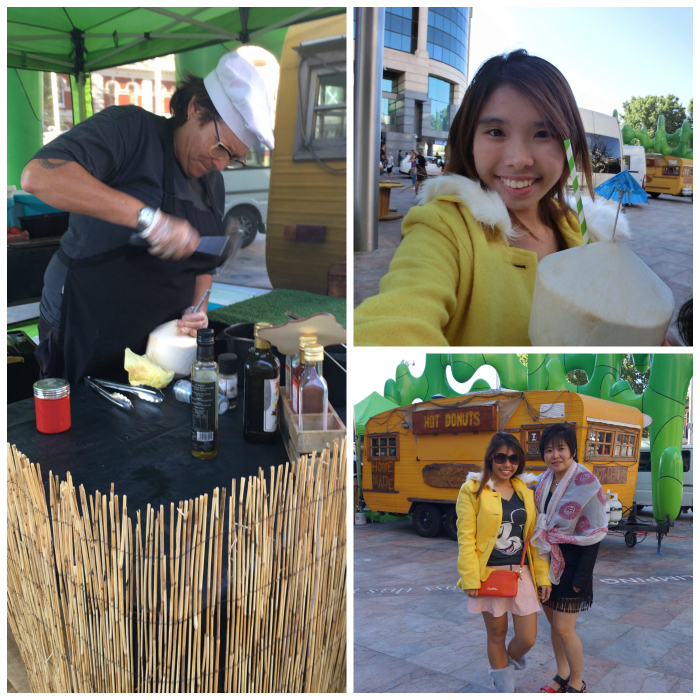 It’s just damn cool to see a Day Pasar Malam in angmoh countries~ Just go and have some hotdog bun, coconut drinks etc..
Who Says you cant drink coconut on the streets of PERTH CBD! So classy okay? Teeheexxx! This is also recommended by Zor. Seriously la.. I come perth so many times I didn’t know there is a ferris wheel in frementle!!! But the only thing i regret is not getting a ride on it due to time restriction. I was 5.30pm and I need to rush to airport at 7pm to check in.. So u see la! I should have take the ferris wheel right? Shouldn’t listen to casper! Next place I really like to recommend is this place! Stirling Garden! I wont tell you how beautiful this place is and I will let you find it out yourselves! hahaha! And this is the most iconic statue which not a lot of people know! Therefore I shall tell you if you are here, you mus do the exact same pose as me!!! This run baby run~ POSE! hahhahhahaha! This is the reason why i call it mysterious garden cause really not a lot of people know sia! We anyhow found it one.. Walk walk walk.. Suddenly i say “Laogong, go this garden take photo! 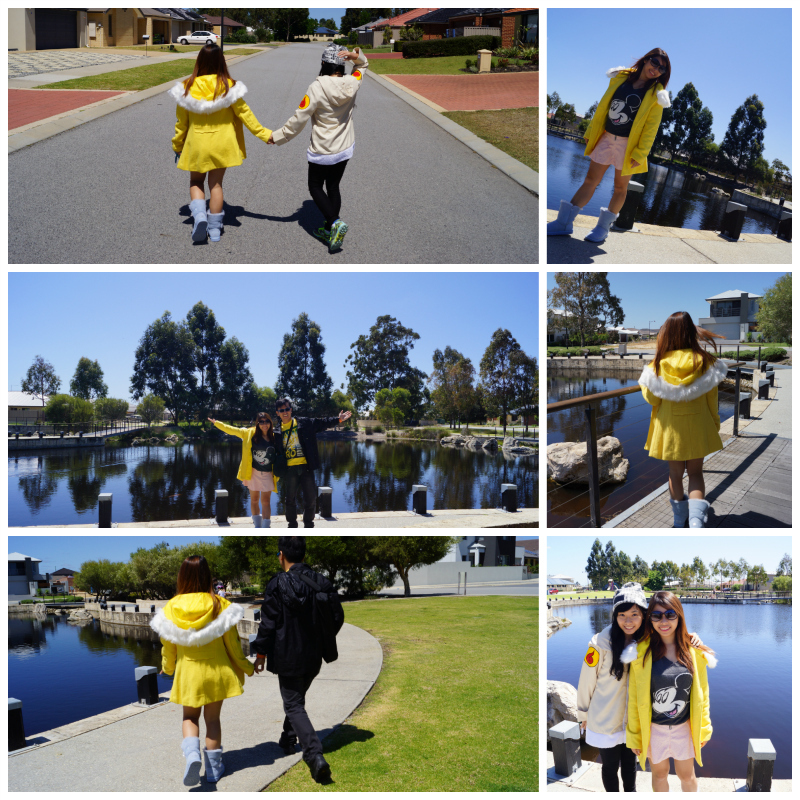 See damn chio leh!” And yeah~ This we how we got the nice photos! So this is the solo blue house which I also dunno is in perth. Then the bridge to the house abit spoilt liao, structure unstable! So cannot cross over. 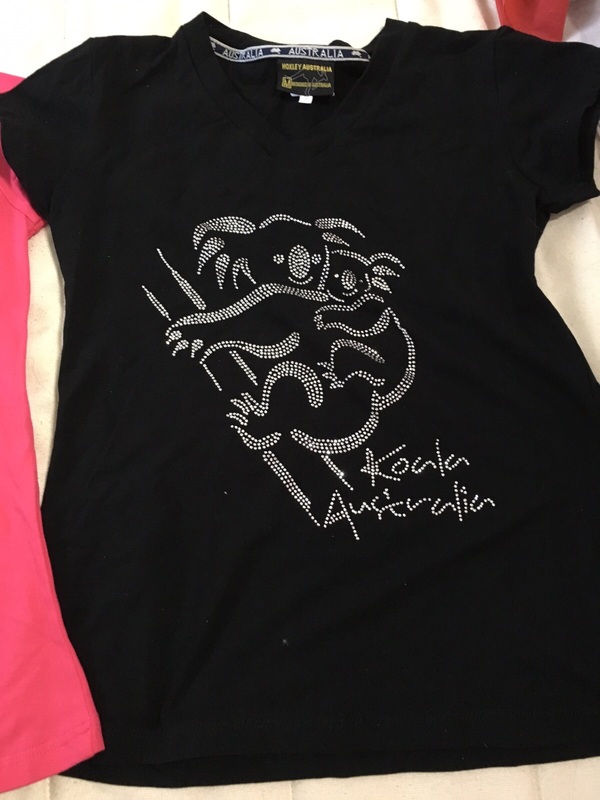 Cohunu Koala Park is open every day (except Christmas Day) from 10am to 4pm. 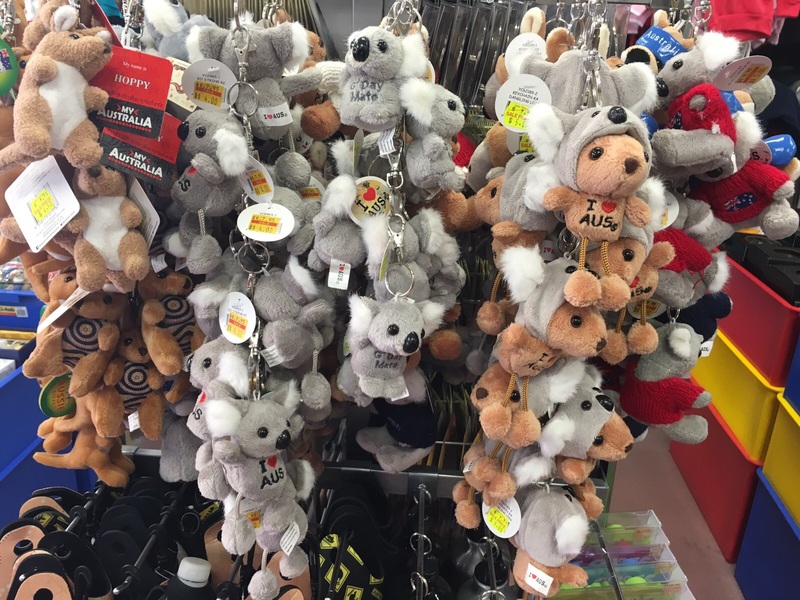 Cohunu Park is the only park in Perth which can carry koala! I been here when i was 12yo with keslyn. Spot the difference! Ok.. Kes grew taller.. Then tat time got official backdrop and official photographer. Then now is u ownself snap.. lols! 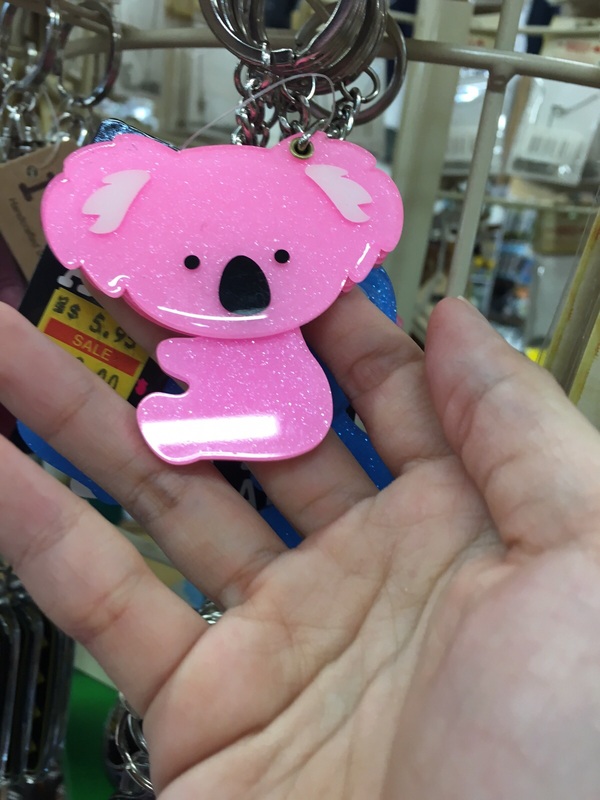 Carry koala i think is $15 or $20 AUD? Then if you are like Casper, never carry jus stand beside then no need pay..
Next up is the Kiasu Singaporeans mus do pose~ HEHEX! NUMBER 1 thing to do!!! 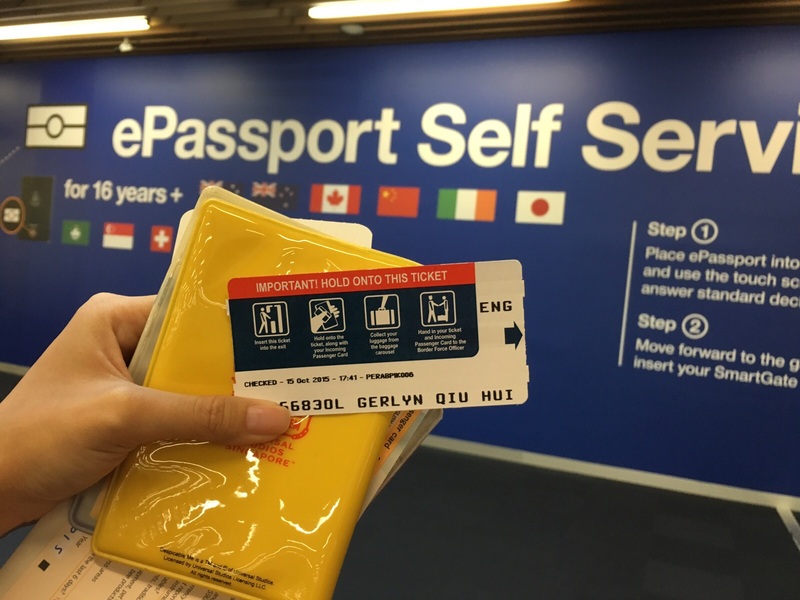 e-passport SELF SERVICE! I mean is super cool la, I dunno which country also have this e-passport automatic clearance service for Singapore Passport. But Aust is the first country i been to which have this service! Tadah~ I got a ticket to proceed. 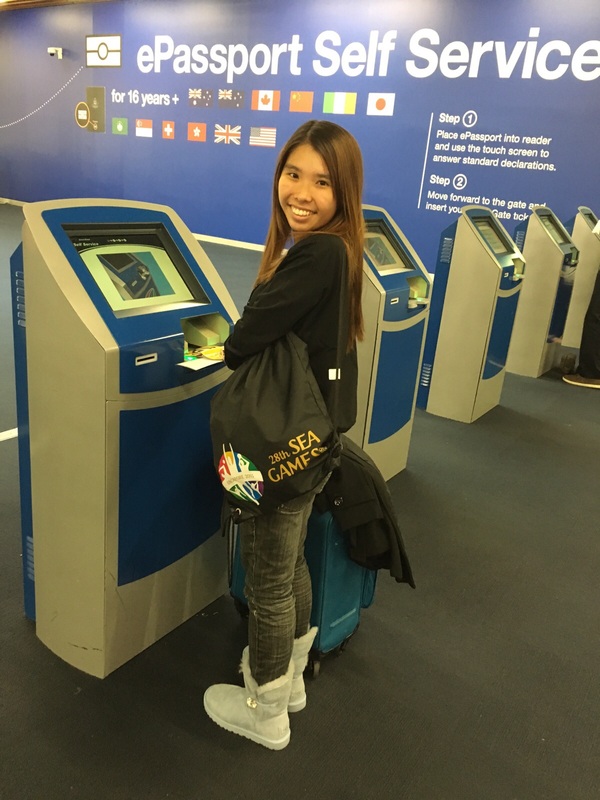 However~ Do note if you manage to pass this GANTRY then hor.. You wont have the “Aussie” Chop on your passport! So you decide yourself lo.. you wan chop or dun wan chop. NUMBER 2 THINGS TO DO! MANDATORY SELFIE with this HELLO PERTH Brochure! Must remember to take before you go to the DFS toilet. Once you missed this, you can never find it again! Since the immigration officer so bad.. nvm.. go DFS lor.. Bobian oso.. Which is like tourist wanna take photo with Changi Airport Control tower.. 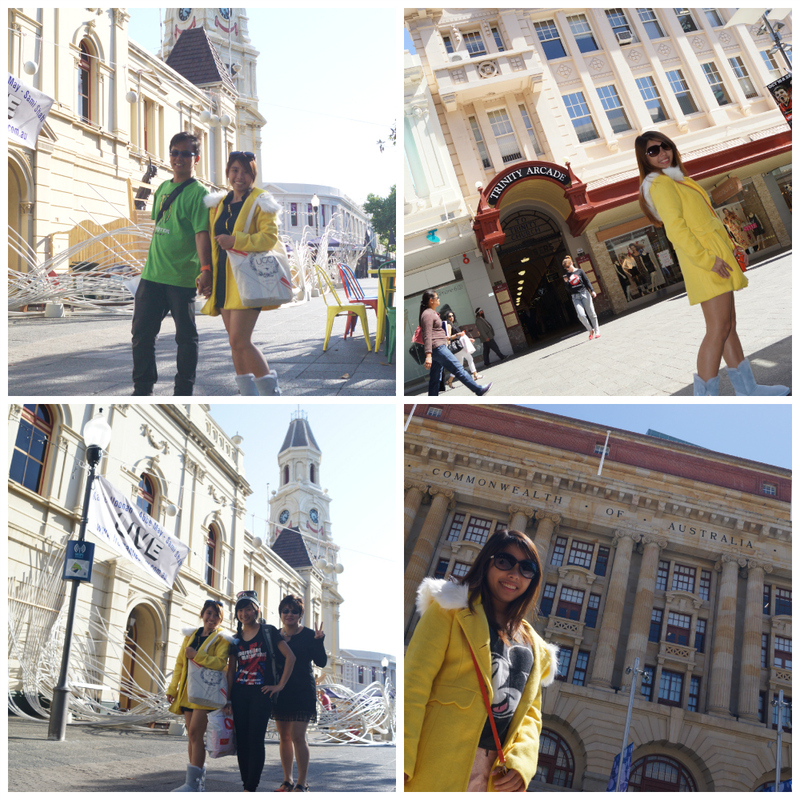 Ya, we shuld also take photo of Perth Control Tower too..
No reason! JUST DO IT! Aiya, the overseas Moon always bigger 外国的月亮比较圆 same logic… Overseas the street, building, architechure all more prettier de. Not say SG not pretty but you wont cherish what you see everyday~ Like i wont go gaga when i see Ion Orchard. Same logic when tourist come, they cfm take touristy shots in SG. 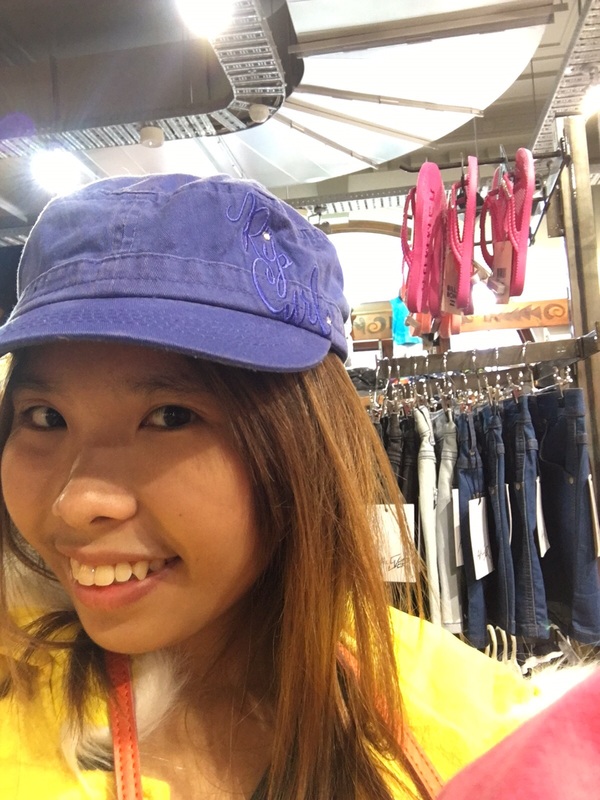 Maybe one day i shall act like a tourist in orchard! hahahaha! 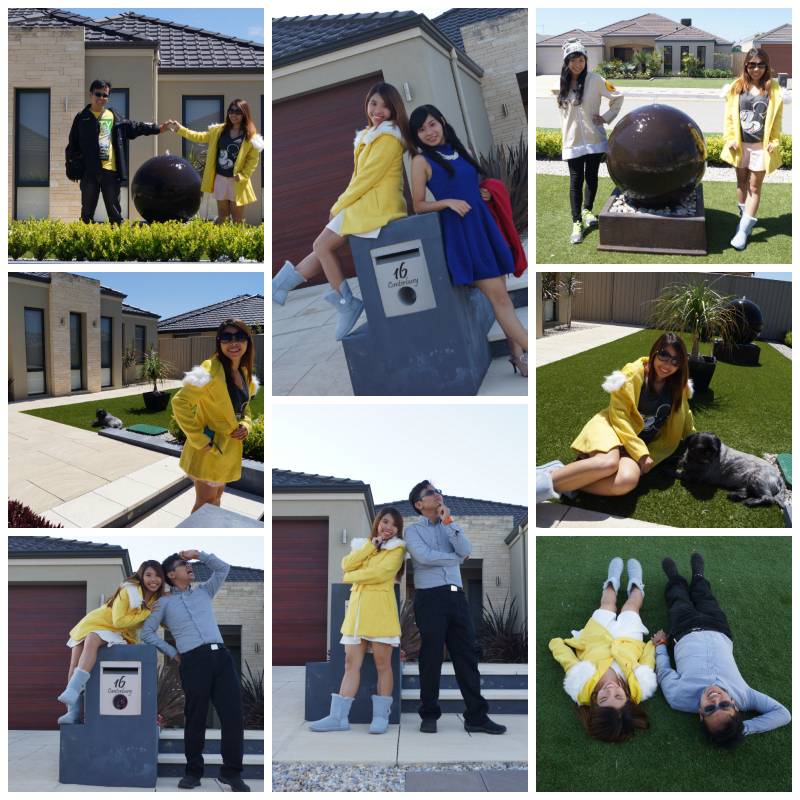 Beside the building shots~ Their building super chio too.. I feel like machiam i am at USS! Lalang~ Tadah this is the punggol lalang field in Perth! kakakaka! Like i say, the moon in perth bigger than sg and so does the supermarket! Their woolsworth oso super big! The super market oso super empty~ Not like sg… squeeze here squeeze there. FAMILY PORTRAIT aka 全家福 ! 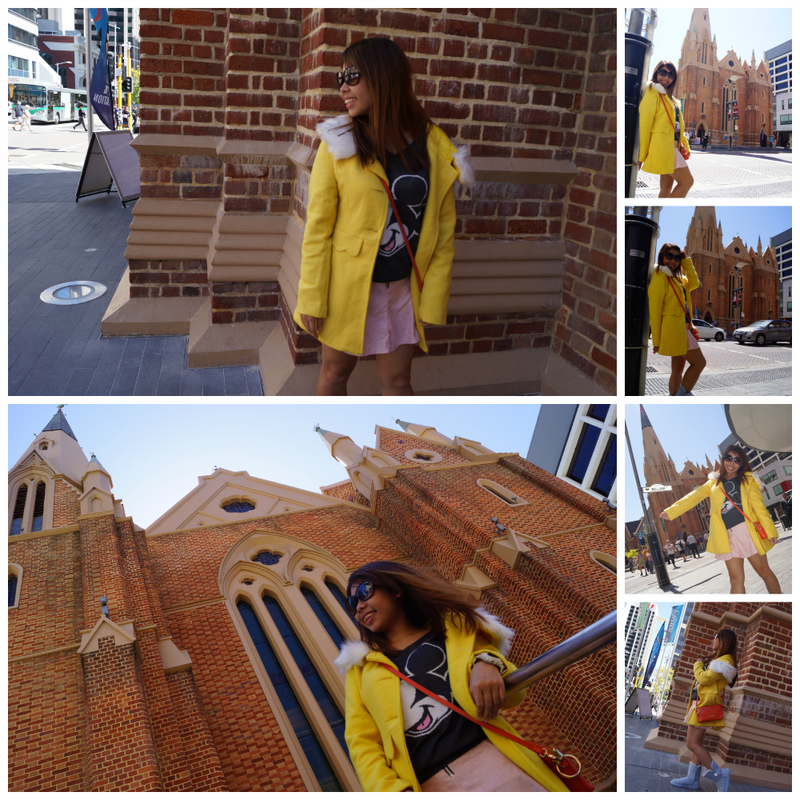 This is actually more like a what I did in Perth blog post~ Although not very comprehensive like have everything that you mus do in perth.. But It’s like my little guide la.. And when I grow old and look back i can read mah. I know some of your wants me to recommend places even I havent been too such as farms etc. I been too but tat was when i was a kid. I do have photos but info are no longer that accurate i guess? But I just want to document down what happen in this trip. Like solely this trip rather than I jus copy paste a photo and no info given. I mean this is my blog I wanna share every single picture in details not like a blog post like I recommend you to go Skydive but i ownself never go? 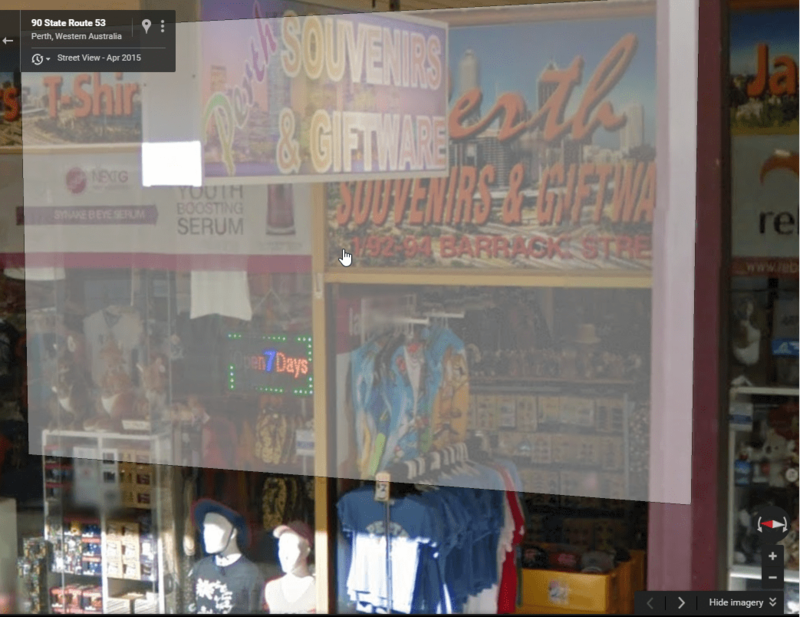 Or i recommend you go to this shop to buy souvenirs but I ownself never buy? 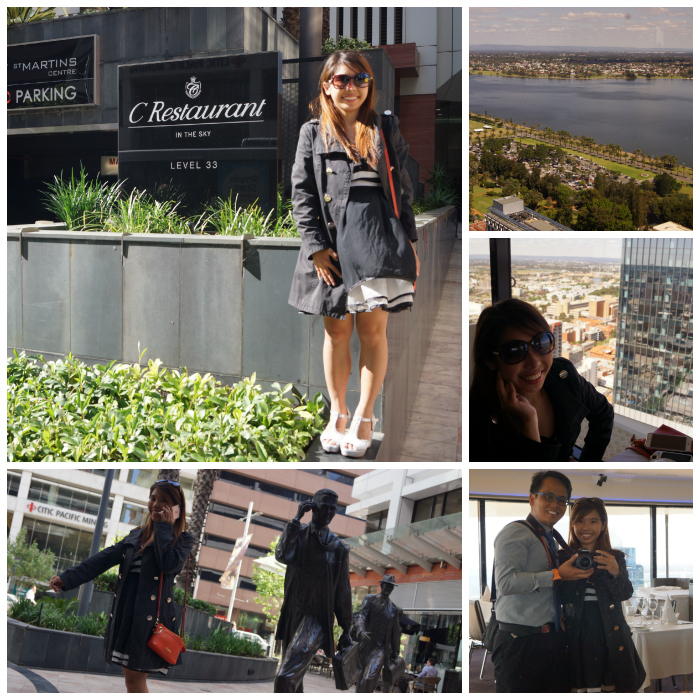 I also know there are lots more places to visit in perth you cfm will say i left out alot but considering the fact that i am in Perth for only a total of 5days, this is quite a lot of things I completed. Then this 5days i did alot and also spend some time with Waipo and Waigong. Awwww.. I miss them so much now.. :'( So sad that my plane was delayed for 7hrs 50mins and Waipo and Waigong and Mummy and Sis cant send us to airport!!!!! Coz by right i suppose to fly at 7pm in the end we fly at 3am (next day) then grandma and grandpa got work the next day.. So we drove to airport ourselves. Soooo sad soooo sad… But blessing in disguise is we get to eat last dinner at home! Coz if no delay we should have our dinner at Perth Airport instead!!! LOLS!